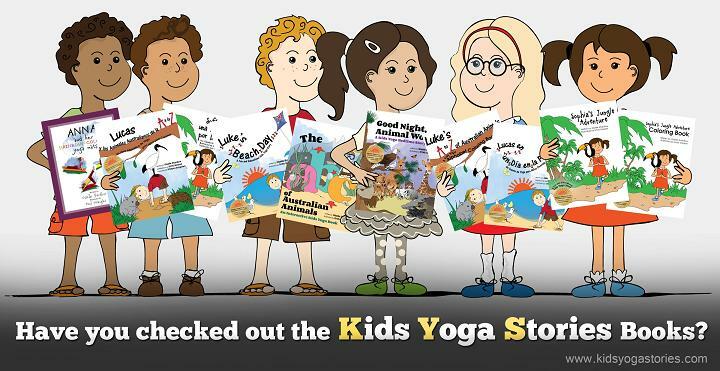 Kids Yoga Stories is an exciting Boston-based company working strongly to encourage kids to explore yoga in a fun and carefree way, through a series of kids yoga books. Most recently, Kids Yoga Stories celebrated the exciting news that one of their more popular kids yoga books, Katie’s Karate Class won a Family Choice Award. The Family Choice Awards recognizes the best products, services and resources for all members of a family. This awards program, now in its 19th year, is one of the most coveted, family friendly consumer awards program in the nation. With yoga having such a powerful effect on so many lives, it’s only natural many parents would want to introduce yoga and yoga’s benefits to their children as early as possible. 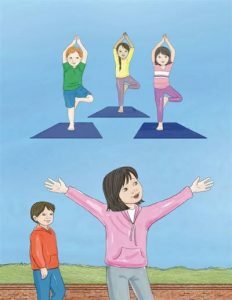 Kids Yoga Stories, who offer a series of fun books incorporating yoga into their lessons, recently released Katie’s Karate Class to help children address their fears about trying new things. 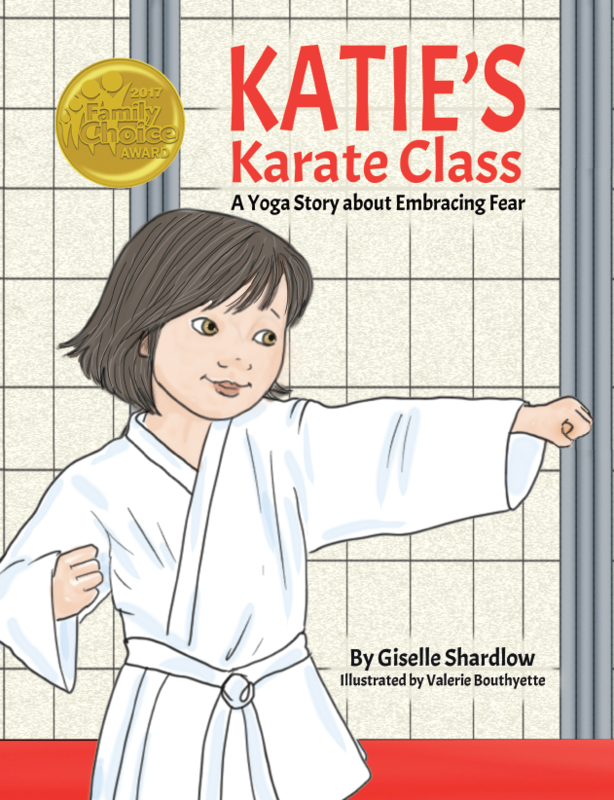 On the way to her first karate class, Katie feels self-conscious about starting something new and meeting new people, but her brother shows her how to recognize the feeling of fear and how to use something familiar to inspire her courage. Feedback for Katie’s Karate Class has been incredibly positive. “What a lovely story to share with children that struggle with fear and anxiety. 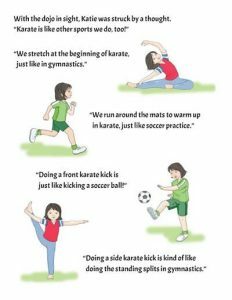 My daughter has been going through this exact scenario with starting karate and the anxiety of new people, new activity, and new feelings. Fear can be crippling to a young child, and helping them understand and overcome it is a wonderful tool that they will come back to many times as they grow up. The language is clear and simple enough for a young, early reader to read on her own but also great to sit and read together. My daughter was so excited that something she was experiencing was written in a book!” said Kimberly, in an Amazon review of Katie’s Karate Class. Buy Katie’s Karate Class here.